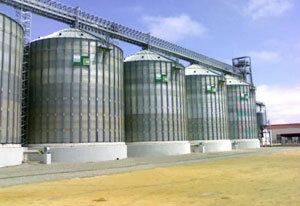 Silos Córdoba specializes in the manufacture of silos and the engineering, development and assembly of facilities for industrial and agricultural purposes. We can provide full service engineering, from defining the customer’s needs and suggesting possible solutions to the conception and implementation of the project. 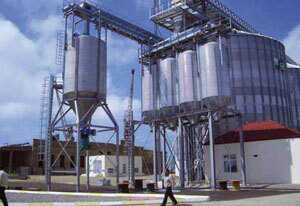 We also have a department focused in the development of biodiesel applications. We have a multidisciplinary team of specialized technicians and engineers who offer an individualized evaluation of our clients’ needs and manage project design and implementation. We develop custom made solutions anywhere in the world. 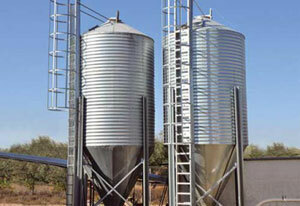 Today, the galvanised sheet metal silos are the best alternative for grain storage thanks to its versatility, easy assembly, hygienic handling and low cost storage. Depending on your needs, we design your silos using the most up-to-date technology, employing the best quality products and in compliance with the current European laws. Our services include: Storage silos, vertical and horizontal conveying systems, temperature control and ventilation, feed mill plants, and automation using a management software. 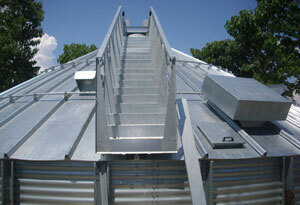 UNE-EN ISO 14122-2 Standard for ladders, platforms and silos. 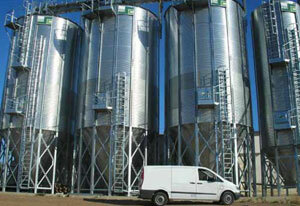 More than 40 years designing and installing grain storage plants. For more information and reference about the projects, please visit our photo gallery.